As prolific an author as Stephen King is we’re now into the realm of remakes of films of his books. Hardly surprising when IT did such huge business and now we have Pet Sematary made back in 1989 and now ramped up for a new generation. Written by Jeff Buhler who is knowing enough to point out the wrong spelling in the title. So again we have a family unit Louis Creed (Jason Clarke) a Dr and his wife Rachel relocating to a rural home for a quieter life and to spend more time with their young kids Ellie & Gage in this house in the middle of nowhere but beside a quiet road apart from the worryingly immense trucks hurtling down it so with a toddler and a nine year it’s inevitable where this is going. It’s Ellie (Jete Laurence) who comes across the Pet Sematary and in turn their widowed neighbor Jud (John Lithgow) this time in a non sinister role who benefits the family. And its him who kicks the plot into action when the family pet cat meets its maker and shows Dr Creed the wonder of the Pet Sematary which resurrects the cat back to its former glory and in that respect Laurence Llewellyn Bowen’s agent must be keen to do the same with his clients TV career. Being an early Stephen King book this has much of his familiar themes, a dislike of cats, Native American mythology and hatred of religion and here’s it’s the family cat named Church, purportedly short for Churchill who, when he comes back from the dead, is….well the fact that it comes back bedraggled, demonic eyed and is far from friendly gives a clue where this is going yet Dr Creed (who as usual King has made an atheist) who deals with death everyday decides to give it a lethal injection yet can’t do it when the cat gives him the doe eyed look. 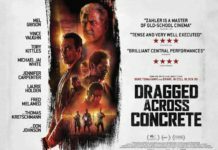 Yet both him and his wife have back stories dealing with death where grief stalks them like Gemma Collins following a Deliveroo cyclist with Mum consumed with guilt about the accident that killed her physically handicapped daughter and Dr Creed suffering apparitions of a recently deceased patient popping up at the most inconvenient of times. But when one of the kids meets the same fate as the mangled moggie the child’s father, despite all that’s gone on with the cat decides to give the Pet Sematary another whirl. What could possibly go wrong? So when Jud fesses up to doing the same with his dog with the same results but thought that this time it might be different it’s hard to understand why Dr Creed doesn’t sign him up for a one way trip to a Dignitas clinic. 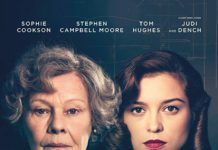 Much like the 1989 film this too relies on many of the same horror tropes, flickering lights, dark rooms, cupboards with a door ajar and it mines the well of shocks & creeps with varying degrees of success relieved on occasion only by some uneasy laughs and some which are clearly unintentional. 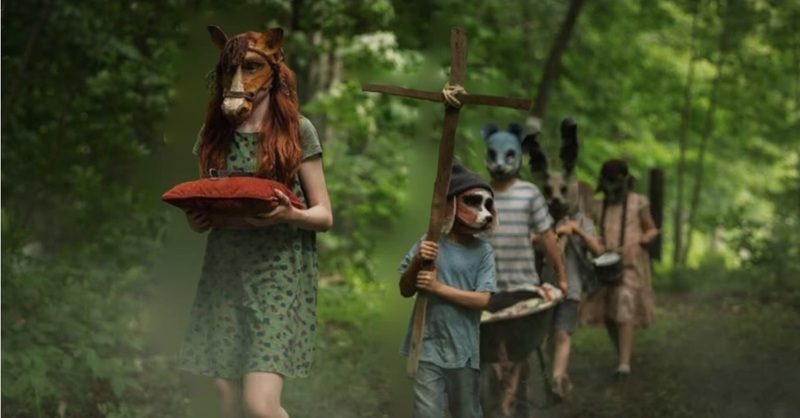 Directed by duo Kevin Kolsch & Dennis Widmyer their version of Pet Sematary veers away from both the book and the 89 film as the story progresses with a suitably downbeat ending but it’s a decent if uninspiring reworking. 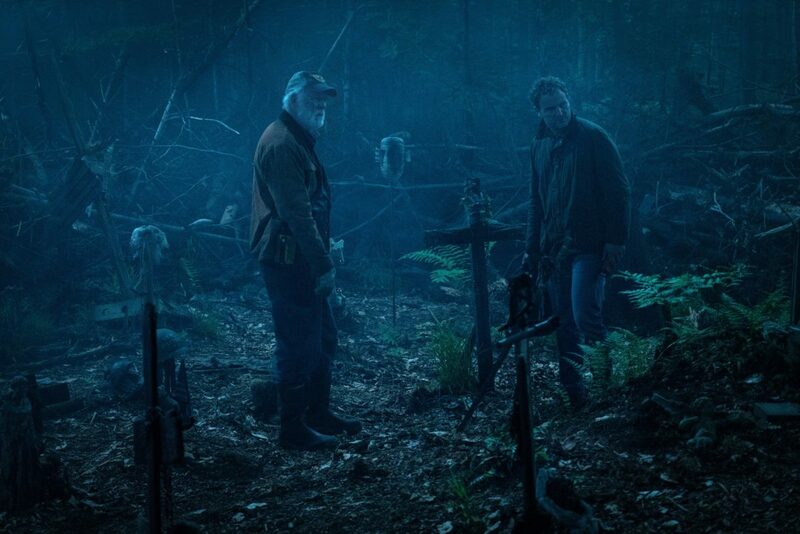 Here’s the Pet Sematary trailer…..